The idea of renewing the covenant is blasphemy. Let me explain. The New Covenant is Almighty God’s covenant. It is not ours. As fallen humans, we could not make a covenant with God if we tried. (In fact, the only one we could make successfully is, a covenant of failure.) We seem to have trouble accepting the fact that we have absolutely no bargaining power at all with God. Zero. Our only choice is whether we choose to believe His covenant. That’s it. God initiates, performs and fulfills the New Covenant (1 Thess. 5:24). We simply believe (John 6:29), confess (Rom. 10:9) Him and walk by faith (Heb. 11:6). I fail to understand the idea of covenant renewal because nowhere in Scripture are we instructed to renew the covenant. It is impossible for us to do since we did not, and could not, make the covenant. Furthermore, the idea of renewing the perfect and eternal covenant of Jesus Christ is blasphemy. Why? Because in its very nature, a perfect covenant is never renewed or repeated. That would put Christ to shame (Heb. 6:6, Gal. 6:7). The New Covenant is final (Heb. 13:20). It is finished (John 19:30). That’s exactly how it is perfect and eternal, and cannot be broken by those who believe. We are never instructed to renew the covenant. However, Scripture instructs us repeatedly to renew our unbelieving minds (Eph. 4:23, Rom. 12:2) so that we can live by faith (Heb. 11:6) believing God, who made the covenant. That’s the whole point, isn’t it? In summary, renewing our minds and remembering the unbelievable victory of Christ for us in the New Covenant are both good and acceptable and pleasing to God. The silly, and blasphemous, idea of renewing the covenant must die. 1 Thessalonians 5:24 The one who calls you is faithful, and he will do it. Romans 10:9 If you declare with your mouth, “Jesus is Lord,” and believe in your heart that God raised him from the dead, you will be saved. Galatians 6:7 Do not be deceived: God cannot be mocked. Hebrews 6:6 and who have fallen away, to be brought back to repentance. To their loss they are crucifying the Son of God all over again and subjecting him to public disgrace. John 19:30 When he had received the drink, Jesus said, “It is finished.” With that, he bowed his head and gave up his spirit. Romans 12:2 Do not conform to the pattern of this world, but be transformed by the renewing of your mind. Then you will be able to test and approve what God’s will is–his good, pleasing and perfect will. 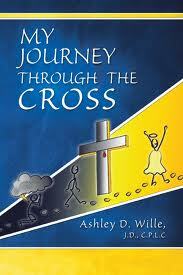 Author Ashley D. Wille was always searching for spiritual answers. “True and lasting satisfaction always proved just out of reach. Now, in midlife, I have come to find my soul satiated in God. Through sweet surprises, difficult climbs, and excruciating valleys, the Master’s hand has shaped me. All along the way, God has taught me many things. What He has taught me most is that many of my beliefs about Him were wrong.” Her book, My Journey Through the Cross, is a personal insight shared by an amazing woman. Through her profound experiences and inner struggles, Wille shows how she was able to break through false layers of thinking and move into a deeper relationship with God. Her beautiful journey is just waiting to be shared. If you are ready to live your life free of guilt and shame, you too can learn how to walk in spiritual freedom. This entry was posted in Essays/Teachings and tagged beloved god, Calvary, christ jesus, christianity, covenant, HolySpirit, Messiah, new covenant, Religion and Spirituality, renew the covenant, Salvation, school of the holy spirit, theology, work of the holy spirit. Bookmark the permalink. Do I Live a Double Life?